Hello! We are back with a short printer industry news show. Last week Canon Australia re-started the PIXMA inkjet printer brand with a substantial ad campaign and in-store promotion initiative, heralding a strong shift to a brand-focused sales approach. Canon has invested something like $12 million in the PIXMA campaign, a big move in the company’s brand-building strategy. The ad campaign with the tagline “Why Print When You Can PIXMA?” and a new PIXMA sub-brand logo was launched on TV, print and online media last week and in-store from 1 May. The campaign focuses on the creative possibilities users can discover with a. The campaign is also supported by the PIXMA microsite, at www.canon.com.au/PIXMA, where a band mum hosts a series of activities, including sharing ideas on items to create with a PIXMA printer and choosing the right PIXMA printer for the consumers’ needs. The advertising initiative is supported in-store. Points-of-sale will be supplied with collateral, which includes posters, wobblers, shelf strips, printer sleeves and claims forms. Among the items promoted in-store will be a nationwide competition from 1 May until 31 July, which includes a grand prize World Tour worth $25,000. This includes travel credit that can be used for flights, trips, tours, accommodation and concerts. Meanwhile, HP is up to make some rearrangements within the company, namely in its printing division. Usually a bad sign (reorganizations are usually done when a division is performing poorly,) this reorganization is more like an adaptation of the business to the realities of the market. The old structure has a drawback that parts were separate from the devices, so things like ink and paper were separate from InkJet and LaserJet. Now all that deals with inkjet printing will be in the InkJet unit and LaserJet supplies like toner will live together with the printer. Windows XP & Vista compatible, the driver is currently available in English only. You can download it from Xerox’ site. In today’s world you cannot save yourself from printing, but you can save on printing. Here you will some useful tips how to cut your printing costs. Can you imagine what the business world would be like without printing? No newspapers, no contracts, no bonds, no checks, no paper money, no maps. This list is almost endless. You would end up with very same list if try to think of a world without paper. Today printers and paper come side by side. The emerging technologies have long promised to deliver us from printing and use of paper. In 1975, Business Week magazine predicted by now we’d have a paperless office. But do we? The development of the internet and electronic documents was expected to force out the printed pages. So is the invention of electronic paper. But today businesses still print between 2.5 and 2.8 trillion pages worldwide and this number is expected to grow within next 10 years. In today’s world you cannot save yourself from printing, but you can save on printing. Here you will learn how to cut your printing costs. These money saving tips are generally oriented to home users and small and midsize offices. However, everyone who’s looking for an efficient printing would find these tips useful. Nowadays, large offset presses, costing several million dollars apiece, dominate printing business that is estimated for $418 billion a year. Most of the offset presses sold in the world are produced by Xerox. This state of affairs is likely to change with the introduction of the new inkjet technologies. And the success of new technologies means troubles for Xerox and more business for major makers of inkjet printers like Hewlett-Packard, Eastman Kodak and others. 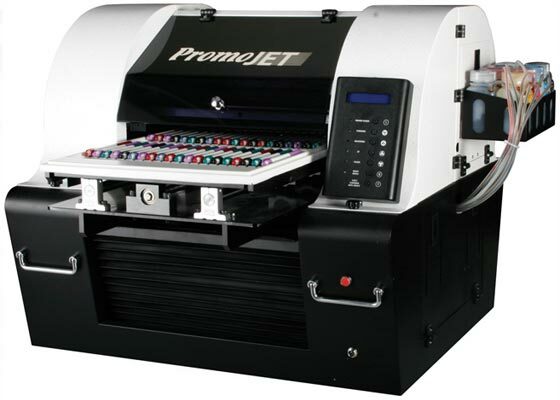 The introduced inkjet presses, priced as much as $2.5 million per unit, are more expensive than the half a million dollar Xerox machines, but cost less per page. For instance, inkjet machines produce a page for 1 cent, versus about 4 cents for the Xerox’s laser technology. 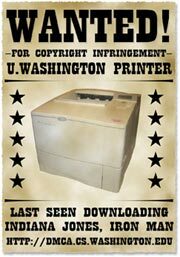 Just like with desktop printers, the digital printer makers expect to make their profits by selling ink. So far offset printers produces 95% of all printed pages worldwide. Digital presses account for only 2% of offset pages, or $US8 billion annually. However, inkjet makers expect that share to triple in the next 3-4 years as quality and speed of digital printing improve. But even today inkjet makers are sure with their technology digital printing is competitive in price and quality with offset printing. At the Drupa trade show world’s printer makers are showing new inkjet presses predicted to be the future of commercial printing. Kodak will demonstrate its Stream inkjet technology that can print at a speed of 150 meters a minute, about half the speed of traditional offset. The technology will be available in 2010, Kodak says. HP will show its Inkjet Color Web Press, which prints at 120 meters a minute and will be available for sale next year. Industry specialists are cautious in theirs predictions and say digital printing won’t push out offset as fast as digital photography replaced film. But the shift to digital printing provides an important growth opportunity for printer makers. Samsung Electronics America, Inc., launches CLX-6240FX, a multifunction printer to expand the company’s lineup of mid range color MFP for office workgroup. The CLX- 6240FX is 4-in-1 MFP with built-in print, copy, scan and fax capabilities, and a maximum monthly duty cycle of 80,000 pages per month and standard paper capacity of 850 sheets. With quality Samsung toners the CLX- 6240FX delivers color documents at the speed of up to 25 PPM. The standard features include a legal size platen, auto duplex printing and copy and an 80GB hard drive. Samsung CLX- 6240FX’s color CCD scanner has a high resolution up to 4800×4800 dpi. Among scanning features of this MFP you will find scan-to-network and scan-to-anywhere support for PDF, TIFF and JPEG files. The FRP also supports a Direct USB Interface for scanning to or printing from any standard USB drive. Scanning management tools include full Lightweight Directory Access Protocol support for effective networking and secure document management tools. 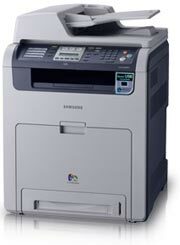 The CLX-6240FX MFP base unit is priced at $2,399 and can be purchased through Samsung’s authorized channel partners.